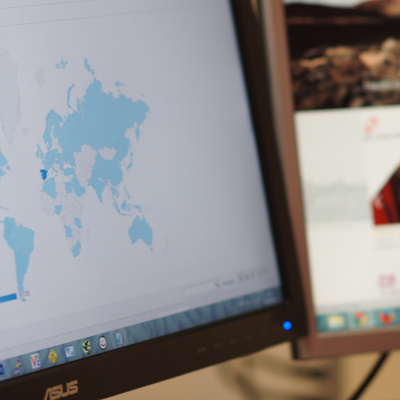 What results can you expect from international positioning in search engines? An international SEO campaign will consistently improve your website’s visibility for search queries made from other countries, in the language and through search engines that are popular in a particular region. If your target market is in a different country, Human Level can help you to identify how your potential international customers would look for your products or services, which keywords and search engines they would use to find a business like yours on the Internet. We will improve the indexability of your website, correctly configure your website’s international versions so that they rank better in the corresponding countries, and we will tackle programming, content, and popularity issues, so your website becomes qualified to reach top results regardless of country, search engine or language used. By improving your positions in the most used search engines in each country we will direct a much higher number of international visitors to your website, those being individuals who are interested in your products or services and could become your customers. We will promote links, mentions and references on other websites related to your business in each target country, earning more quality traffic from visitors residing there. International SEO allows you to explore new interesting markets for your business by contacting new clients or partners, creating synergies and reducing risks in a very low cost way. We adapt your content to the points of view, interests and expectations of your potential customers in each different country. All this adds up to better conversion results. Would you like to know more about international web positioning? What is natural multilingual positioning in international search engines? Natural or organic positioning in international search engines is a content, product, and service promotion strategy aimed at increasing visibility of a website in the so called “organic or natural search results”, that search engines from around the world return to users when they carry out a search query. With an international SEO campaign search engines will include pages of your website among the top results, if they consider your content to be of interest to the person who entered the search query. For this to happen, we need to identify the language, search expressions or keywords your potential customers in a specific country will use, and achieve a certain level of popularity –ability to get external links– for this version of your website from other sites of the same country. There are other additional aspects like server geolocation or certain adjustments that can be made through the search engines’ webmasters’ tools, which will also have an impact on the rankings of your website in a specific country. All these and many other factors related to the internationalisation of a website are optimised during our international SEO campaigns. What is the goal of international organic web positioning? When a user enters a search query into their local search engine –namely Google.co.uk, Yahoo.fr or Bing– it returns a page of results, ordered from most to least relevant. Most users stay on the first page. Some of them check out the second one and perhaps the third one, and even less users bother going beyond the third page. For that reason, it’s important to rank within the first 10 results for search terms your users or potential customers would enter in their own language, from their country of origin and in search engines that are commonly used where they live. And this is the main goal of any international SEO campaign. The World Wide Web is ever-growing, with new markets opening every day. The Internet enables us to reach each and every one of them, and our international SEO campaigns are oriented to obtaining the maximum profit out of these new markets. There is something users from any country have in common: most of them start browsing using a search engine, by entering a search query in their own language. At Human Level we work with SEO campaigns for clients in Spain, Venezuela, United States and France, amongst other countries, and many of the projects we manage are involved in the international trade in several markets and languages. We rely on more than 10 years of experience developing international positioning strategies in search engines, and our native-born staff has been specially trained in international SEO. Our international SEO services will help your website to appear in the top results in the appropriate languages and most-used search engines, so that when your potential customers look for a business like yours, your company will rank among the first. Markets: we identify who your are customers and what they’re like, what language they speak, and which terms and expressions they use to search companies, services or products such as yours. Search engine selection: we identify what are the most popular search engines in each country, in order to make sure your SEO strategy in global search engines (Google, Yahoo! or Bing) is complemented with local ones, namely Yandex, Baidu, Sapo or Voilá. Indexability analysis: we analyse your website’s structure and development to favour accurate identification of each version and language by search engines. Relevance analysis: we improve your content vocabulary, so that it responds better to your customers’ search habits. Even though many countries share the language, very frequently users living in different places employ different terms to refer to the same concept, for example: “pants” is used in the USA, whilst Britons say “trousers”. Recommendation implementation monitoring: we coordinate the implementation of our recommendations to your website’s code with your systems department or an external provider. If it’s necessary, our own computer engineers will be able to carry out the appropriate changes. Online popularity improvement in the country you’re reaching out to: our native-born staff will participate in specialised websites, social media, etc. to improve your content’s popularity and promotion. Web traffic statistics configuration: we help you to configure your web traffic monitoring tool to monitor the results, as well as to detect improvement opportunities. Monthly reporting of the campaign results: throughout the campaign we will deliver full reports with the primary key performance indicators for your website. Improvement opportunities: taking into account your website’s traffic results, we will identify the aspects in which the campaign is progressing correctly, and where there’s room for improvement, in order to make the necessary changes.